Note: Will not fit 4L60E or 2004R transmissions. 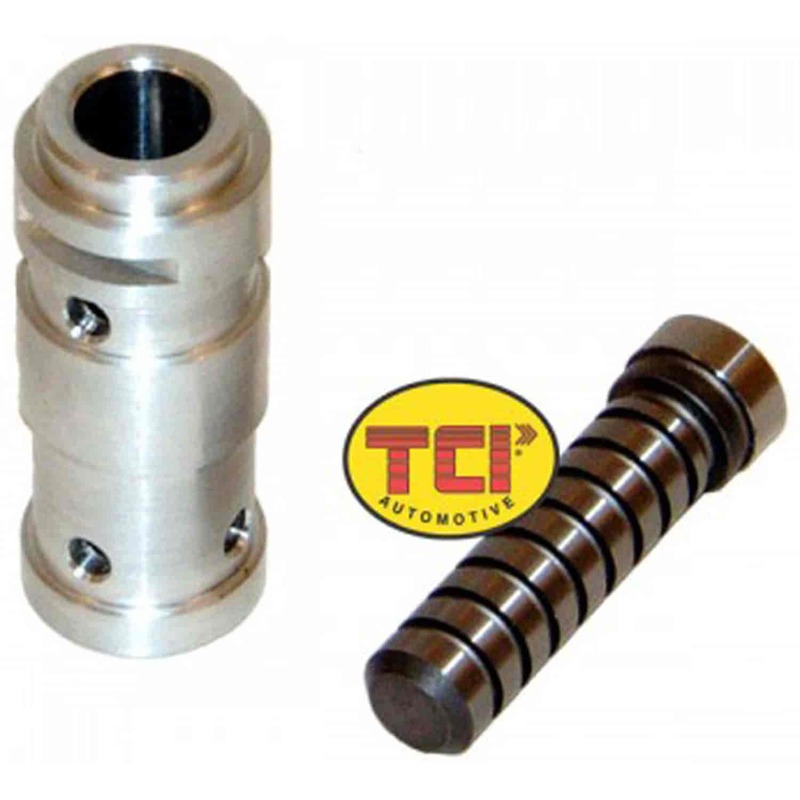 TCI's Throttle Valve Plunger & Sleeve Kit is designed to replace the stock assembly. This TV plunger & sleeve kit will prevent part-throttle downshifts from fourth to third gear until approximately 85% throttle has been applied (compared to around 50% in most OE setups). Proper downshift performance can also be restored by replacing a worn, stock assembly. This kit uses existing OE plunger. Does TCI 374400 fit your vehicle?